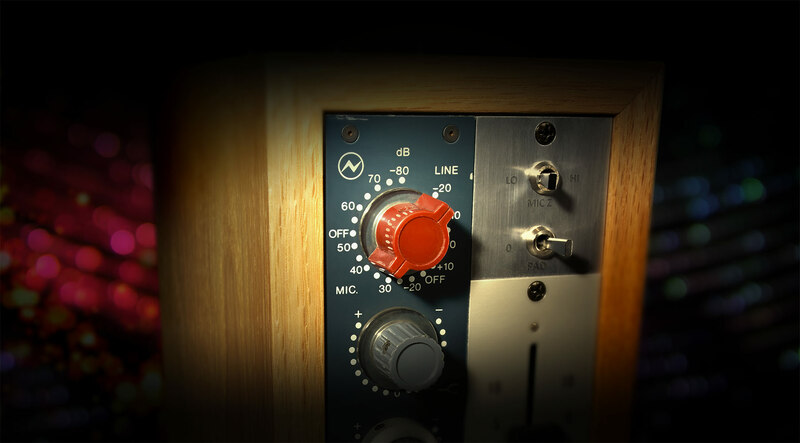 The authentic Neve preamp sound – captured as a plug-in featuring Unison™ technology. The Neve 1073 Channel Amplifier is easily the most revered preamp and EQ circuit ever designed. Introduced in 1970, this hallowed class-A, transistor mic/line amp with EQ epitomizes the beautiful "Neve sound," with unparalleled clarity, sheen, and bite. Now for the first time, you can track through the only authentic end-to-end circuit emulation of this legendary piece of audio history, with the Neve 1073 Preamp & EQ Plug-In Collection for UAD-2 hardware and Apollo interfaces. Universal Audio’s all-new Neve 1073 plug-in for Apollo and UAD-2 provides all the features, unique circuit behaviors, and coveted sound of Neve's original hardware design. By modeling the dual-stage "Red Knob" preamp, revered three-band EQ, and post-fader output amplifier with obsessive detail, the Neve 1073 Preamp & EQ replicates the experience of the original 1970s hardware with stunning accuracy. Like the hardware, the new Neve 1073 plug-in incorporates all 10 clipping points from the preamp and EQ circuitry, delivering trademark clarity, grit, and harmonically rich class‑A saturation. Harnessing UA’s Unison technology, the Neve 1073 plug-in blurs the lines between analog and digital, giving you all of the 1073 preamp’s impedance, gain staging “sweet spots,” and circuit behaviors that have made it legendary among the audio faithful. The secret is Unison’s bi-directional control and communication from the 1073 plug-in to the digitally controlled mic preamps in Apollo. With Unison, the Apollo preamp changes to the Neve 1073's physical input impedance, allowing both "Lo" (300 Ω) and "Hi" (1200 Ω) impedance setting options. This provides the 1073's full gain and tonal range to your favorite mics. Of course, the Neve Preamp & EQ Plug-In Collection isn’t just for Apollo owners. UAD-2 hardware owners can employ the Neve 1073 Preamp & EQ Collection for mixing, tone shaping, or simply adding sheen and bite to vocals, guitars, drums and more — without ever leaving the box. To get you started, there are artist presets from renowned 1073 users such as Ed Cherney, Joe Chiccarelli, Jacquire King, Ryan Hewitt, David Isaac, Ryan West, and more. UAD-2 power users can place Neve 1073 instances across multiple channels, turning their favorite DAW into a classic Neve console.